Beam tuning took ~1 hour. Beam current was 1uAmp to use ARC2 energy lock. Due to that the beam polarization was measured with targets 4 and 5 only. 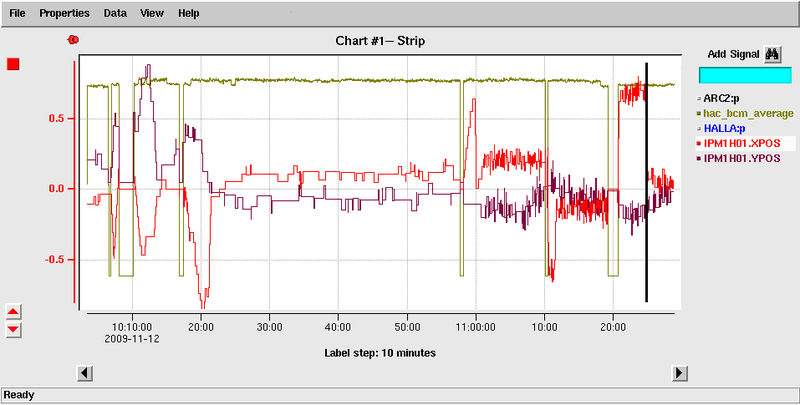 There was an energy lock in ARC2 but the beam energy in Hall A was shifted and fluctuated (see strip chart). At 11am MCC change parameters of ARC2 energy lock (increase sumpling). 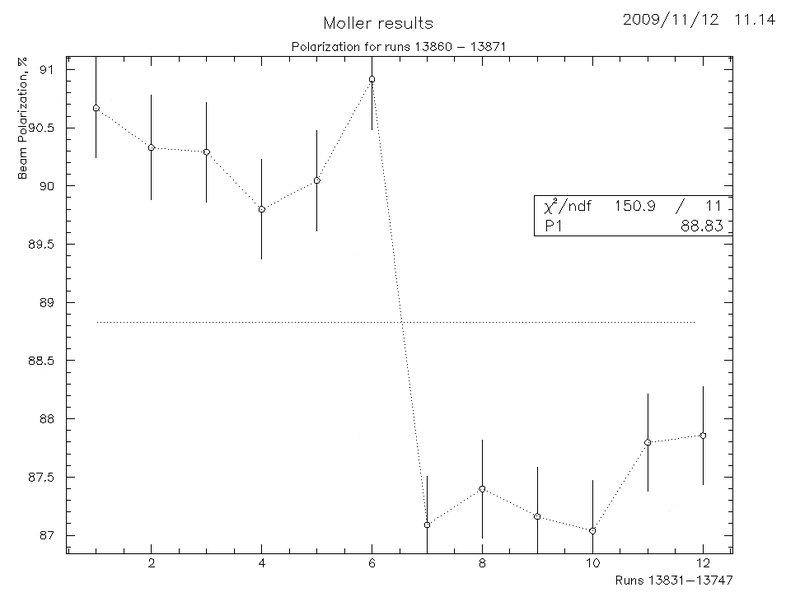 Moller results have to be corrected on the beam energy fluctuation. 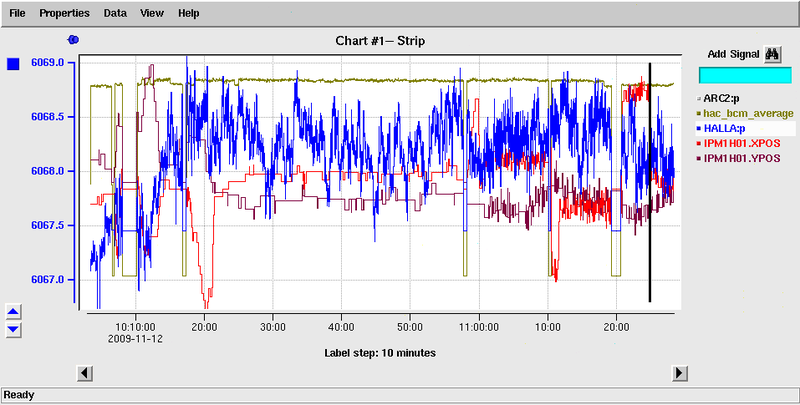 Preliminary results (will be corrected on energy fluctuation).